Don Delillo is a writer who’s always seemed intensely concerned with symbolism; but in a strange, quasi-adversarial way. I’ve read The Names and White Noise a few times each (in addition to several of his other novels), wound up convinced that there is potent symbolism in his work but that its end result, the solution of the equation (So much of Delillo feels mathematical, doesn’t it? ), is a zero, an intentional nod to nihilism. Which, if you think about it, is a fairly bracing postmodern trick. For me, Delillo’s strengths as a writer are this philosophy (the fact that it so underpins his authorial view of the world), his writing voice which manages to be undeniably wise yet still conveys awe at the complexities of reality, and the line-to-line beauty of his prose. Though these qualities are all on display in Zero K, I’d be lying if I said this book measures up to his masterpieces. Rather than a shot at Zero K, I see this more as indicative of a problem common to living legends. 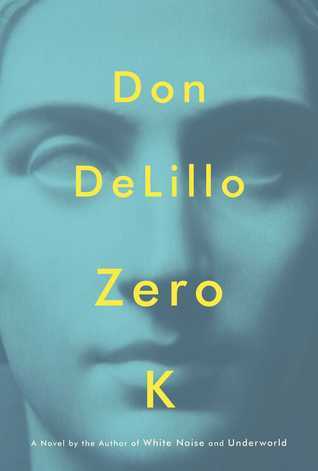 With so much received acclaim and so many conceded masterpieces, chances are that Delillo’s best work is behind him. And, however you dice up his career, Delillo’s been in that situation well over a decade, perhaps much, much longer. I remember when Underworld came out—Finally, the long Delillo novel we’d been waiting for(! )—when it failed to win the National Book Award (Cold Mountain did.). I suppose at that point, we all expected more of the same—Underworld 2, Son of Underworld(? )—but that’s proven to be wishful thinking. In all fairness, how many masterpieces can one writer be expected to come up with? Zero K is another graceful trip through Don Delillo’s post-postmodern reality, one in which symbols—and that greatest symbol of all, language—fail in their ascendancy, leave us ultimately confounded by the reality those symbols sought to define. For people looking to study Delillo’s best work, I’d recommend The Names, White Noise, Underworld, and his underrated debut, Americana. The experiences forgotten, locked in our minds. The weight of what we owe those who come after us. More than that, the weight of what we owe the world and ourselves. These are the considerations at the heart of Zoe Zolbrod’s second book, the memoir, The Telling. A return home with a new baby, her first, leads Zolbrod to the realization the cousin who lived with her family (and sexually abused her as a five-year old) has been charged with multiple counts of pedophilia. Fraught with emotion and filled with energy over the new life in her arms, there is the crushing reminder someone in Zolbrod’s family is capable of such crimes and the torrent of memories attached to their precursors, the experiences of a small girl, silent to the world until now. If you’re looking for narrative that manages to seem somehow lush and controlled simultaneously—jagged with feeling and revelation yet told in a voice that compel your attention, forces you to engage not only with the world in the pages before you, but the reality all around, this is a book for you. 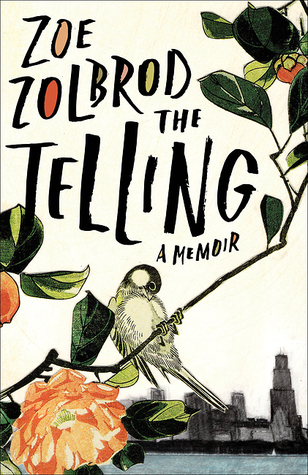 Reading a fine memoir like Zoe Zolbrod’s, The Telling, reminds us of the debt we owe our best memoirists. It reminds us of the trials they endure and the monsters they slay not only for themselves but for their readers as well. It may seem a gaudy move, but Kim Addonizio’s release of a memoir and poetry collection within mere days of each other isn’t that surprising. In fact, when you consider the awards Addonizio’s won, the variety of different forms she’s worked in, and her longevity as an artist, this release two-fer feels practically de rigueur, just another milestone in a brilliant career. Though this review primarily concerns Mortal Trash, Addonizio’s latest poetry collection, I should say that I found the portion I read of her memoir, Bukowski in a Sundress, to be highly enjoyable. A compelling, crisply written book, Bukowski in a Sundress is bound to sell more than a few copies. And in its accessibility it provides an interesting counterpoint to the poems of Mortal Trash, poems that sometimes share this accessibility, sometimes seem to purposefully reject it. The strongest poems in Mortal Trash are the ones that are the most concrete, the most steeped in reality. And there are plenty of them. “Lives of the Poets”, “Ways To Go”, “Review of Possible Signs and Symptoms”, and “Florida” are filled with nifty linguistic twists, provocative imagery, and cunning observation. Another high point is Addonizio’s sonnet sequence, which is brimming with trashy beauty and startling wisdom. As for the other extreme, the re-castings contained in the section entitled, “Over the Bright and Darkened Lands”, I find the experiment impressive but can’t say I felt the same level of connection I had with other parts of the book. 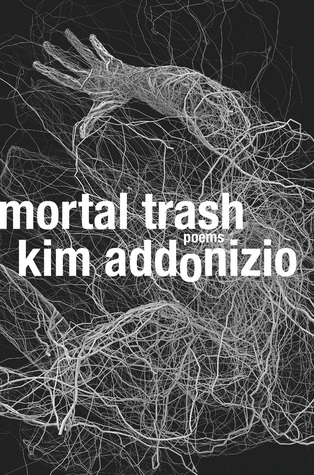 On balance, Mortal Trash is a laudable collection of poems, the best of which can only enhance Kim Addonizio’s legacy. A long-time columnist and reporter in Spokane, Washington, Shawn Vestal has (mostly, over the last few years) begun to make a name for himself as an author of fiction, first with his Pen Bingham Prize winner, the story collection Godforsaken Idaho, now with his debut novel, the Mormon coming-of-age/road novel (words I thought could never possibly go together), Daredevils. 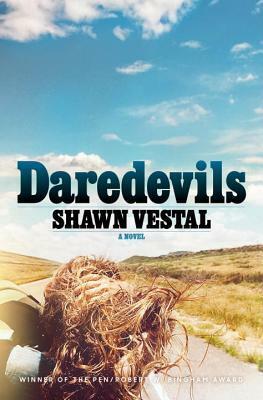 The focal point of Vestal’s story is Loretta, a rebellious teenager from a fundamentalist Mormon family. As a proposed curative for her bad behavior, Loretta is married off as second sister-wife to fellow fundamentalist, Dean Harder (a name worthy, indeed, of masters like Hawthorne and Dickens). Soon, Dean moves his entire clan, including Loretta, to his family’s land in Idaho, far from her parents’ home. Once in Idaho, Loretta finds common ground with Dean’s teen nephew Jason; that common ground being escape from the oppression of family and religion, escape to an outside world that may seem freer than it is. Daredevils is a trip through time and space, a portrait of a mid-century America (the 1950’s through the 1970’s) that’s breathtaking in scope. But perhaps the most winning part of the book is the way this lost history comes to feel at once familiar and deeply engrossing. From Tolkien to Zeppelin to narration from Jason’s hero, Evel Knievel, pop culture references abound, presenting a counterpoint to the constrictive fundamentalism at the story’s core. This is the good and bad of our American mythology—even more so that of the American West—a land where freedom and madness seem so often to run hand in hand. An object lesson in how to make ordinary life matter to a reader, Lori Ostlund’s first novel, After the Parade, is a symphony of realism, one that turns in movements dramatic and comic, touching and wistful. Constructed as a vast network of flashbacks, the novel opens with forty-one-year-old ESL teacher Aaron Englund’s departure from New Mexico and the home he has shared with his partner, Walter. Though Aaron’s nominal destination is San Francisco, even before he arrives, we realize his understanding of himself is tenuous, evolving, that this understanding is his real destination. 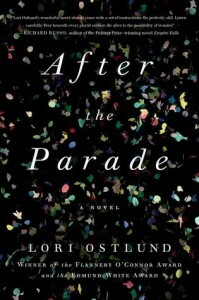 As Aaron begins his new life, Ostlund flashes back to all that has come before, no event more significant than the day Aaron’s father, a policeman, fell from a parade float and died, leaving Aaron and his mother all alone. In coming to terms with the events of his deep past, Aaron begins to grapple with and understand his recent past with Walter, to lay claim to a better present and future. One of the most honest, insightful writers you’ll find, there’s never a false sentence in Ostlund’s work, never a reliance on tricks or tropes. Ostlund imbues her characters, especially Aaron, with humanity, humor, and grace, showing us how people really live and grow, day-to-day and year-to-year. 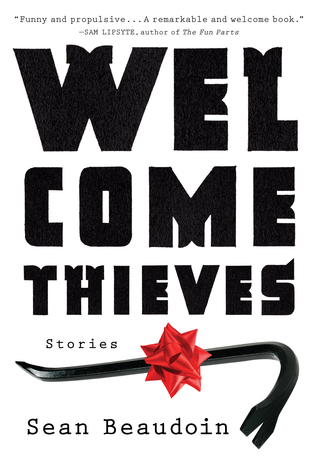 From the beginning of Welcome Thieves, Sean Beaudoin’s first story collection, you realize you’re in rare literary territory, the text before you built not only on erudition and propulsive (at times near breathless) prose but drugs and crime, rock n’ roll and philosophy. Above all else, though, there’s humor. Beaudoin is, no question, one of the funniest, hippest writers out there. Plumbing the quest for sensory experience at the heart of youth, Beaudoin’s style recalls T.C. Boyle’s, a flash of formal experimentalism (Coover? Celine?) thrown in to keep the reader off-kilter. The mix is a highly enjoyable, stone-cold literary endeavor that manages to succeed on a commercial level as well. These aren’t “New Yorker stories” per se—you’re not going to find some middle-aged dentist bitching about his Mercedes in Beaudoin’s pages—but they’re so polished you can’t help but see the potential for them to reach (and please) a mass audience. From Beaudoin’s fearless use (and purposeful misuse) of pop culture, particularly the fight game in “And Now Let’s Have Some Fun”, to the macabre, apocalyptic satire of “Base Omega Has Twelve Dictates”, his spin on a sort of creation myth in the title story, “Welcome Thieves”, and the failed Americana at the heart of the entire collection, perhaps most notably in “The Rescues”, these stories succeed without exception. On the off chance that Beaudoin’s six previous books and his massive output of quality nonfiction (Salon, The Nervous Breakdown, The Weeklings) hadn’t confirmed his talent, Welcome Thieves is sure to. Sure, likewise, to prove attempts at comparison must in the end fall short. There’s just no other writer quite like Sean Beaudoin. Read him and be glad you did.